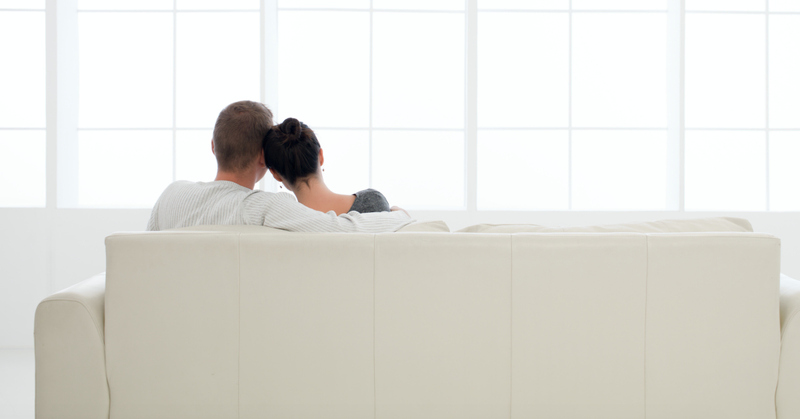 As homeowners grow more aware of both their environmental impact and the rising costs of energy it is becoming more and more common to look for higher efficiency home comfort system options. One such option is a hybrid heating systems. Many leading manufacturers now offer hybrid heating systems for installation in your Union, KY home, and the energy savings they represent are alluring for many local homeowners. If you are interested in the installation of a hybrid heating system in your home, contact Greater Comfort Heating & Air Conditioning today. We have the training, skills and experience necessary to ensure that your hybrid heating system in properly installed and maintained. A hybrid heating system incorporates both a heat pump and a gas furnace into your home comfort system. This allows for very cost effective temperature regulation without sacrificing comfort levels. Because there are two possible heat sources, the gas furnace and electric heat pump, your system can choose which is necessary and make the switch back and forth between the two as needed. Heat pumps are a far more efficient home heating option, but they also do not perform as effectively as gas furnaces do in extreme weather. When it gets too cold out for the heat pump to function effectively the system switches over to the reliability of the gas furnace. Because the operation of a heat pump is also reversible you can use it to efficiently cool your home during the warmer months of the year. This makes a dual fuel hybrid system not only very efficient but also practical for year round use. If you are interested in heating your home more efficiently while being able to use the same components to cool your home in the summer, a hybrid system may be right for you. Be sure to discuss your hybrid heating system options with a trained professional from Greater Comfort Heating & Air Conditioning. No heating system is right for every home or individual. We can help you decide if this is the best comfort option for your Union, KY home. Newport, KY Heating FAQ: How Do Boilers Distribute Heat? One of the frequently asked boiler questions we get from our Newport, KY area customers is about the different ways these heating systems distribute heat. Greater Comfort has put together a basic boiler operation list to demonstrate how hot water boilers distribute heat. The most common type of boiler is a hot water boiler. With a hot water boiler, water is heated and then distributed throughout your home via pipes. You can have either traditional radiators or baseboard radiators which release the heat into your rooms. A pump is used to circulate the hot water through the pipes. The water in the boiler itself can be heated by oil or gas. Since this is not a forced air system, there are no need for air ducts. Boilers are a very effective way to heat your home. Today, you can buy a high efficiency boiler for your home that can heat it more efficiently than ever before. Older boilers have AFUE ratings of only 55-65 percent, versus the Energy Star rated boilers you can buy today with AFUE ratings of at least 85 percent. That means that much more of the heat produced by your boiler is used to heat your home, which can save you a lot of money on your utility bills. High efficiency boilers also usually have controls that can help reduce the amount of heat lost in your pipes. Some can also serve as an indirect water heater. Call the Newport, KY boiler experts at Greater Comfort if you have further questions about installing a boiler system in your home. Have you ever walked up to a building and tried to open the door but found resistance as you pulled it open? This is because of negative pressure, meaning that the pressure outside the building is greater that the air pressure inside. This causes the outside air to press in on building creating a suction effect. Other evidence of negative pressure is drafts around doors and windows. This is normally caused by improper ventilation. The building’s HVAC system exhausts too much air from the interior creating a vacuum on the inside. The purpose of the make-up air system, as its name implies, is to allow the building to make up the air that it has exhausted. This equalizes the pressure inside the building to match the outside. As air travels out of the building, the make-up air system allows an equal amount of air into the building. Make-up air systems are fairly simple. They consist of an air intake entrance for fresh air; a series of filters to remove dust and contaminants; an actuator that controls the amount of air allowed in; and then a conditioning unit that heats or cools the air. They can also sometimes contain a humidity control system as well. The fresh, incoming air can be ducted to any place in the building that needs it. Increased comfort – By equalizing the pressure inside the building, there are less drafts of air being pulled in by the negative air pressure. This increases the control over inside temperature and the relative comfort of the people inside. Improves air quality – By properly filtering incoming air, the supply of air is more pure. Instead of letting in dirty, contaminated air through doors and windows, the fresh is filtered and ducted directly to the building’s areas. Increased efficiency – With negative air pressure pulling air into the building, the HVAC system has to work harder to exhaust that air. With a make-up air system, efficiency can be increased by up to 35%. Taking to load off the HVAC can be a great benefit. If your building in Newport is experiencing the effects of negative air pressure, contact the experts at Greater Comfort. We have been working with business owners in the Newport KY area for many years. We would love to talk with you about how we can improve the efficiency and comfort of your building. Give us a call today! We all know how important regular maintenance and tune-ups are for our vehicles. But few people realize that the same is true for your heating and air conditioning systems. You rely on your heater and your air conditioner —especially during the middle of the summer and the winter. We put together a short list of some of the benefits to regular heating and air conditioning maintenance in your Newport, KY home. There’s an old saying that goes “an ounce of prevention is worth a pound of cure.” When you have a professional Newport heating technician regularly inspect your system, they can detect small problems before they turn into major repairs. While it might seem illogical to spend money on your system when it’s working fine, we all know that eventually our equipment is going to break down. But with regular maintenance, that time can be delayed for as long as possible. By fixing small issues before they become major issues you can keep your system in working order longer. As your heating and air conditioning system ages, it has to work harder to heat and cool your home. Belts start to wear down, bearings start to wear down and your equipment will generally deteriorate over time. With regular maintenance and care, your system can continue to run efficiently. An efficient system uses less fuel and is less expensive to run than a worn-down, inefficient system. If you have questions about the heating or air conditioning system in your Newport, KY home, call the experts at Greater Comfort Heating & Air Conditioning. We offer maintenance plans to suit your budget and make sure your system keeps running at peak performance. A heat pump is a great way to heat and cool your Newport KY home efficiently. Because they transfer heat rather than consuming fuel to create energy they greatly reduce the amount of energy you use in the process and can help lower utility costs. However, heat pumps can have trouble maintaining comfortable temperatures in harsh climates. Here is some helpful information about supplementing your heat pump to ensure your year round comfort from Greater Comfort Heating & Air Conditioning. On very cold days, your heat pump may not be able to provide adequate heating power to keep your home warm. A supplemental heating system, such as a furnace, can help make up the difference. Forced air systems can even share your heat pump’s existing ductwork, so installation is not necessarily a big project. Large homes present another challenge to your heat pump. While proper sizing of a heat pump should generally allow it to heat and cool your home effectively some residences may have enough space that a single heat pump simply cannot reach the capacity necessary to maintain comfort. Upgrading to a larger heat pump may solve the problem, but supplementing it with an additional heater or air conditioner backup may be more cost effective. Heat pumps run on electricity, and though they don’t use very much of it when heating and cooling your home they still require it for operation. When the power goes out this reliance on electricity can become a problem. It doesn’t have to, though. A supplemental heating and cooling system with an alternate power source can guarantee you comfort in the event that the electricity goes out. A backup generator, properly sized, can also keep your heat pump working in the time that the power is down. There are many options to consider when choosing a system to supplement your Newport KY heat pump. If energy efficiency and eco-friendly power is a priority for you you may want to consider the installation of a solar energy system in your home and a home comfort system that utilizes that power. Traditional forced air systems are a popular option and can use existing ductwork when supplementing your heat pump. You won’t need to have a whole system installed and the sustainable energy source is a good choice for the environment. If you want more information about supplementing your heat pump for consistent comfort call the heating and air conditioning experts at Greater Comfort Heating & Air Conditioning. We can answer any questions you may have.